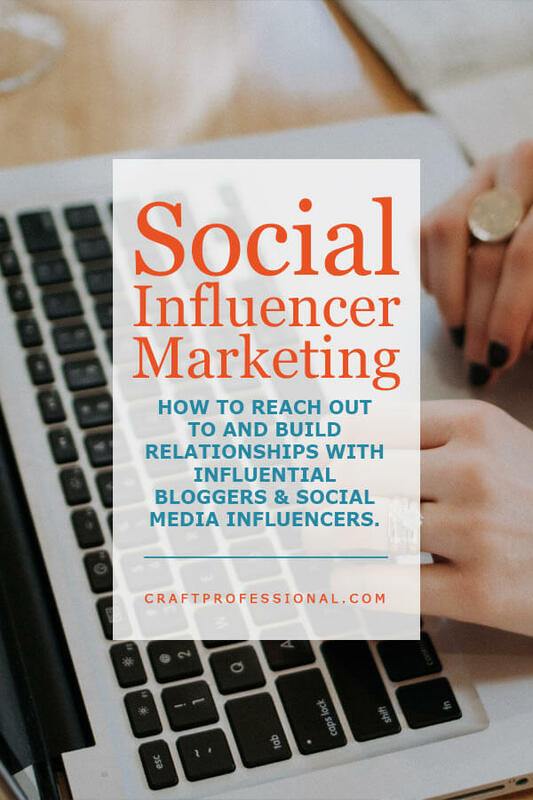 How to reach out to and build relationships with influential bloggers and social media influencers. 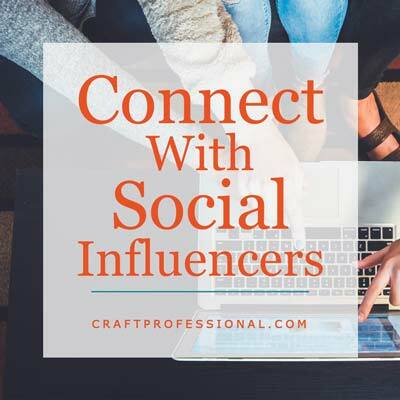 If you sell your crafts online, social influencer marketing can become an important, and even enjoyable way to promote your business. When your work is shared on an established social media account or a popular blog, your business can get a nice boost. So, how do you reach out to bloggers and social media influencers to make that happen? I suspect when most people think about how to market to influencers, what they want to know is how to write a killer cold contact message that will compel social influencers to feature their work on wildly popular blogs or social media accounts. Heads up - I'm not going to tell you how to do that. I'm not a huge fan of cold calling. Back in the day when I ran job search workshops, I always cautioned clients against spending too much time cold contacting people. Sending out hundreds of unsolicited contacts is rarely successful, and it's generally a waste of everyone's time. I frequently asked clients who did use cold contacts what their success rate was like, and, although there was the occasional lucky exception, it was almost never good. Warm contacts will typically give you a much higher success rate and a more positive experience. Warm contacts are people who have a bit of a relationship with you. They don't have to be your best friend, but they recognize your name. You're not a total stranger contacting them out of the blue. With warm contacts, you develop a real, personal connection. Form letter-type mass messages won't cut it here. The need to be real and personal means you won't be able to contact as many people, but those connections you do make will be of higher quality. You can network with social influencers online in much the same way you would network with influential people in your industry in person. That is, you work to build genuine relationships over time. How do you build those relationships online? It takes some time, but it's not rocket science. The first step in connecting with bloggers and social media influencers is deciding who you want to connect with. Do some research in your niche and find a few key people you'd like to develop a relationship with. Look for people in your niche who run related businesses, but who are not direct competitors. Direct competitors are not as likely to share your work because they won't see that as something that would benefit their own business. On the other hand, someone who has a related business that you don't compete with directly may be thrilled to connect with you and develop opportunities that are beneficial to both businesses. 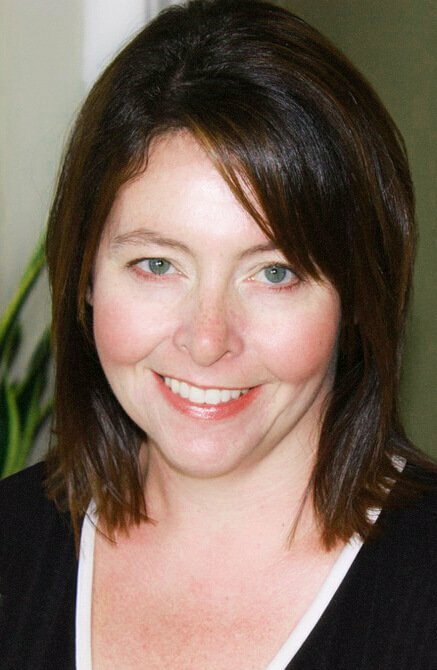 For example, if you make handmade soaps using essential oils, a blogger who promotes the benefits of essential oils works in a related, but non-competing niche. The two of you working together could benefit both businesses. If you make astronomy-inspired jewelry, the organizers of an astronomy club would be a natural connection to make. Your businesses complement each other; they don't compete. Your first thought might be to aim high and try to connect with the superstars in your niche - the people with massive followings. They are the most visible people, so they are likely the ones you think of first when wanting to connect with social influencers. I'd never suggest you should avoid trying to connect with the superstars. You never know when you might strike just the right cord with the right person. Do keep in mind, though, if you're just getting started, a more established blogger or social influencer may not jump in to work with an unproven person. However, if you have something truly unique you think that person would love to share with readers, it's well worth a shot. If you're just establishing your online presence, dig a little deeper into your niche, and look for people who might not be superstars (yet) but they are a little more established than you are. This is a good place to start to make connections and typically the space where you'll have the most positive reactions. Now that you know who you want to connect with, it's time to start reaching out and asking for - nothing. That's right. You're not going to ask for a single thing. No blog feature proposals. No requests to regram or retweet your latest post. Nothing. Before you ask for a single thing, you're going to take time to build a real relationship. Connect in real ways on social media. Follow them. Make real, thoughtful comments on their posts over time. Put some effort into your comments. Likes or easy comments like "That's great." or "I like your work." don't have much impact. Make thoughtful comments that indicate you've viewed their post, thought about it, and are making a contribution to their community. For example, if I posted a photo of a necklace on Instagram, a comment like "That's so pretty." would not get my attention. In fact, I would assume it probably wasn't even written by a human. I'd believe there was a good chance the comment was posted by software used to artificially boost followers and not written by a real person. There's no connection to be made in that kind of comment. On the other hand, a comment like "I love the combination of blue and gold in that necklace." gets attention. Assuming I posted a photo of a blue and gold necklace, I would know a real person actually wrote the comment. I would appreciate the time they took to connect, and I would definitely respond back. If that same person made thoughtful comments over time, I would start to notice them, and that just might be the beginning of a more personal connection that could benefit both businesses. Once you've opened up a relationship with someone in your niche, nurture that relationship. Be genuine; you don't want to be someone who is just using people. Look at it as an opportunity to connect with someone with a common interest. Comment on their posts, share their content from time to time when it's a good fit with your audience's interests. Don't be the person who only comes around when she wants something. This kind of relationship develops over time. You can't just spam a bunch of photos with a pile of likes and comments in one day and expect to have a relationship. Over time, the influencer will likely come to recognize you as an engaged member of his or her community. That will make her more open to working with you. Once you've built and nurtured the relationship, you can carefully and occasionally ask for mentions. You can tag influencers on your social posts if you genuinely believe they may be of interest to them. Tagging might get your item shared to their social network and get you exposure to a new community. Tag judiciously. Only tag someone when you genuinely believe they might be interested in your post. Do not spam them, or you will train them to ignore you. Alternatively, if you want to propose a larger project, sending a carefully worded private message is the way to go. Whatever you do, don't ask them to share every single thing you do. Save your "asks" for the big stuff, and be sure to continue to participate in their social network. Write better proposals to get featured by social influencers. 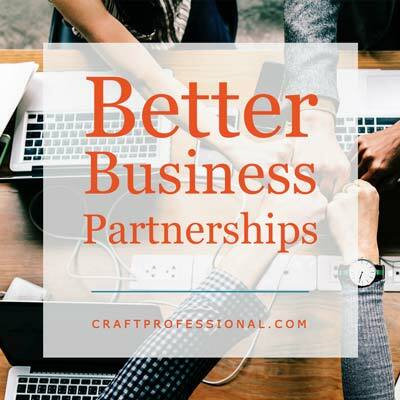 How to research bloggers to find the right partners for business collaborations. 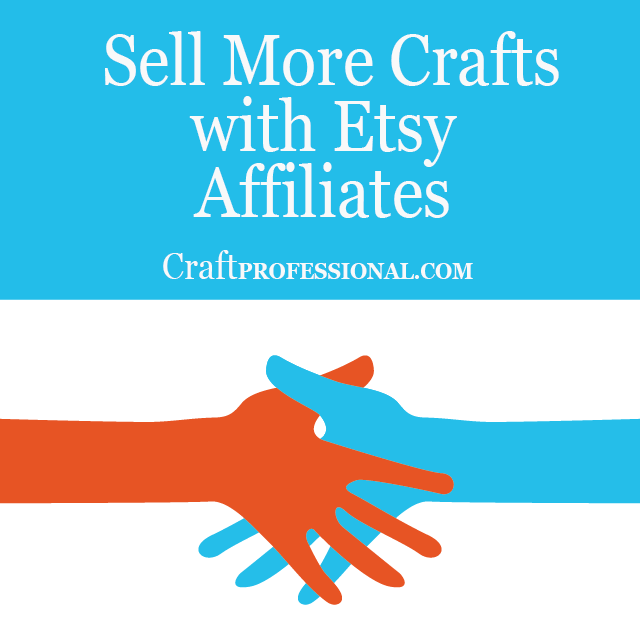 How to encourage influential bloggers to feature your Etsy shop.